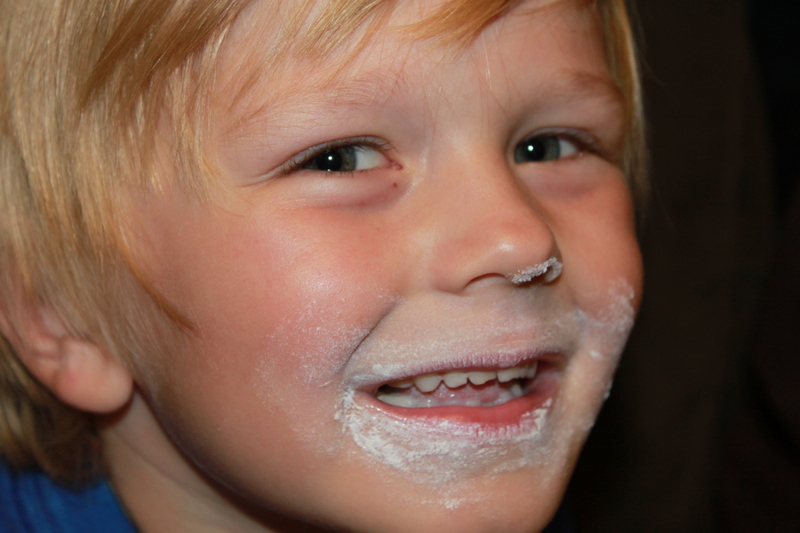 So years ago my mom said to my kids,“Let’s go in the closet and have a donut party.” I thought what in the world are they doing? It didn’t seem that fun or entertaining to me until one day when I tried it myself. Get a package of the little gem donuts and bring them into the closet. Tell all of your children that you are going to have a donut party. It is especially wonderful when one of your kids is having a bad day! When you get into the closet give everyone a donut or two and just eat away. 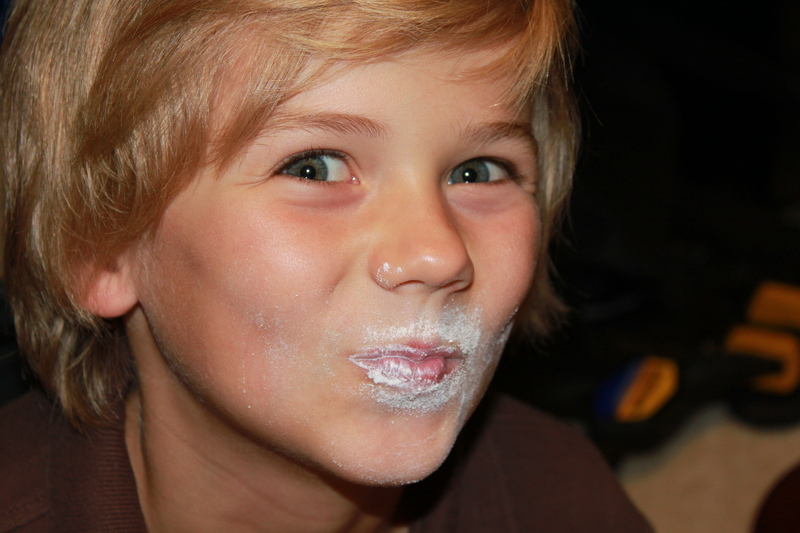 It’s really fun with powdered donuts because by the time everyone is done, their lips are all white. Usually someone starts laughing and before you know it everyone is laughing. It’s a treat for my kids when I buy these donuts, so it’s really a big deal when I say let’s eat them in the middle of the afternoon or right before dinner. It’s these silly things we do that make long-lasting memories. 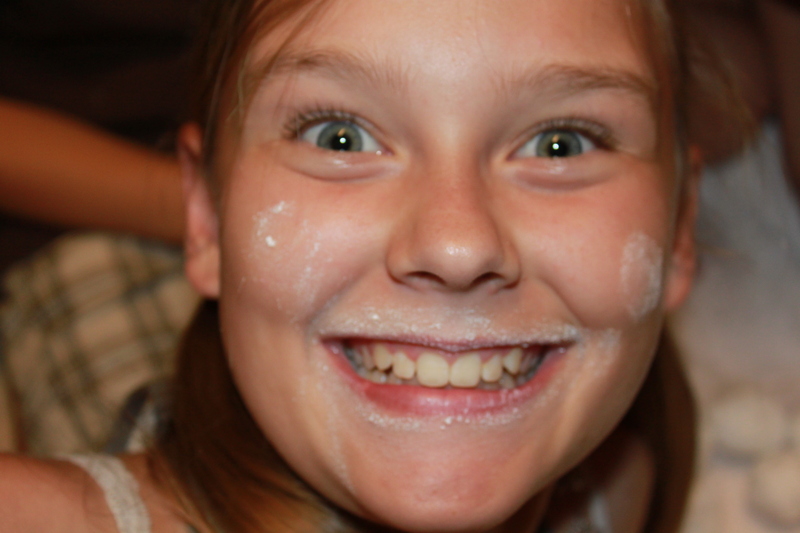 My mom came up with this tradition and ten years later, my kids talk about donut parties and ask to have them.